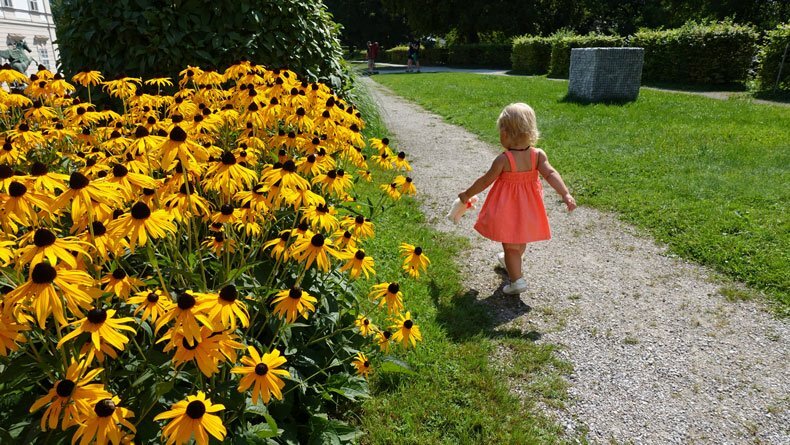 Mirabell Gardens in Salzburg, Austria is the perfect place to spend an afternoon as a family. 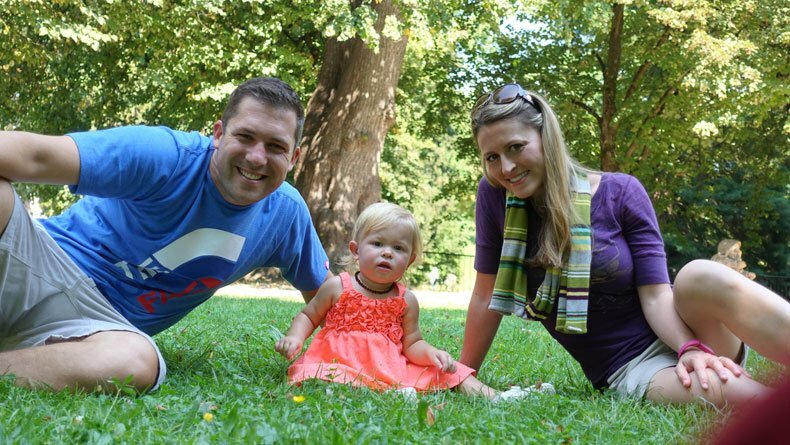 We took our 19-month-old daughter to the gardens in August 2016 during our first family trip to Germany and Austria. 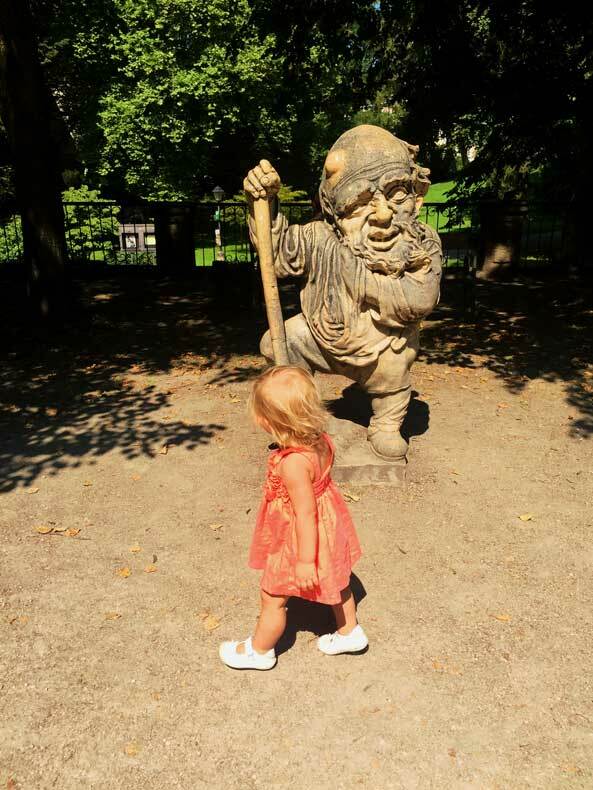 Visiting Mirabell Gardens in Salzburg, Austria with kids is a great way to give your little explorer room to roam. 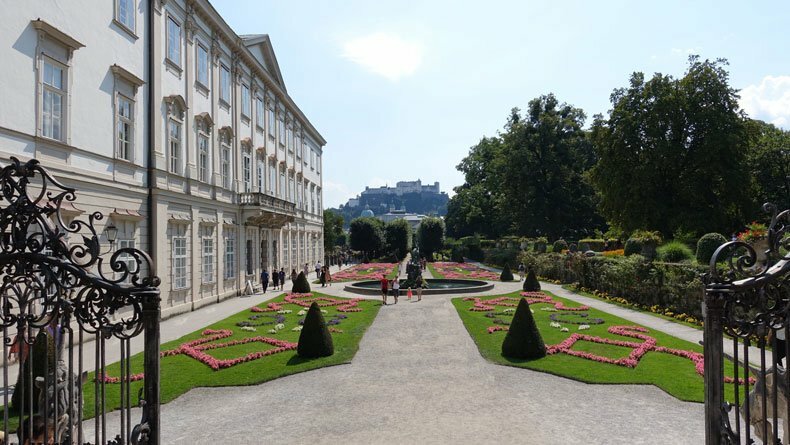 If you only have one day in Salzburg, make sure Mirabell Gardens is on your list! 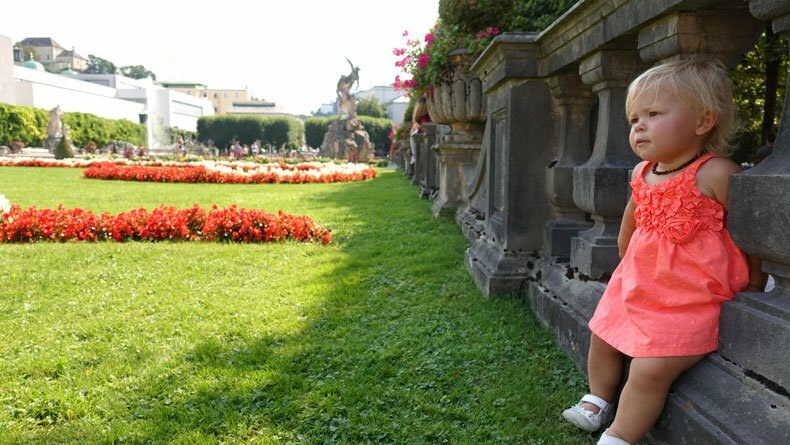 There is a lot to see and do in Salzburg, and when you’re traveling with kids, you’re constantly looking for places where your tiny travelers can safely run around. Mirabell Gardens provides that place. Our daughter can only tolerate so many historic churches, palaces, museums or other “grown up places” before she needs a break. Young children get bored easily. It’s always in your best interest to fit in some fun activities for them while traveling, too. Although there isn’t a playground, your little ones will still love to run around this lovely garden. Here are a few pictures of our daughter enjoying the grounds. Although we didn’t take The Sound of Music tour in Austria, we did see several sites where the movie as filmed. 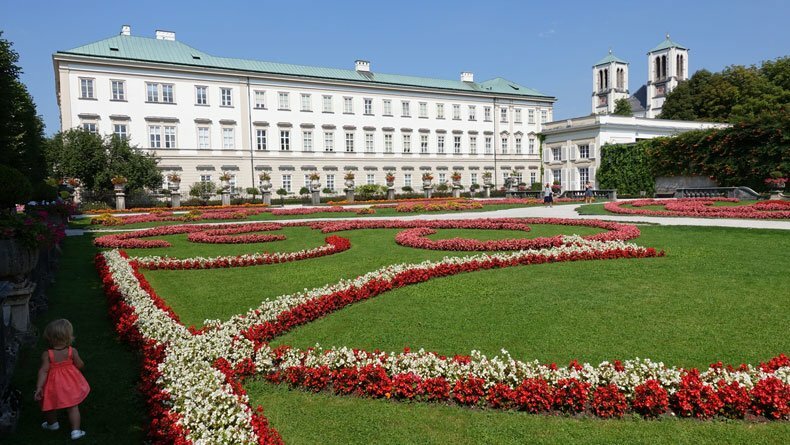 Mirabell Gardens was the location for some of the most famous scenes from the classic movie The Sound of Music. One of my favorite scenes was when Maria teaches the kids the song “Do Rey Mi”. That iconic scene was filmed here. I’ve loved the movie for years, so it was nice to see some familiar sights while we were in Salzburg. Walking into the garden you might immediately recognize the grand staircase and the Pegasus fountain from the movie. Other areas of the garden featured in The Sound of Music include the trellises, the Grand Fountain and the Dwarf Garden. The Dwarf Garden was probably our daughter’s favorite area. The garden is quite large and has various fountains, colorful flowers, and statues throughout. There is also a fair amount of green space where you can lounge or have a family picnic under the large trees. 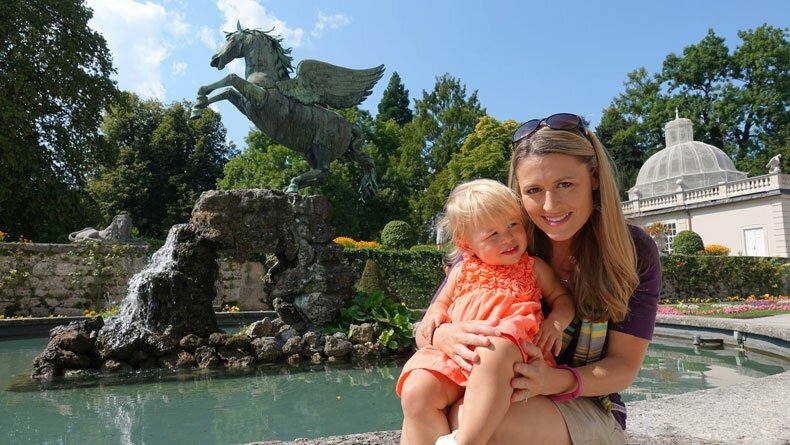 Any Salzburg itinerary should include a visit to Mirabell Gardens, but if you’re visiting Salzburg with kids, it is definitely a must see. 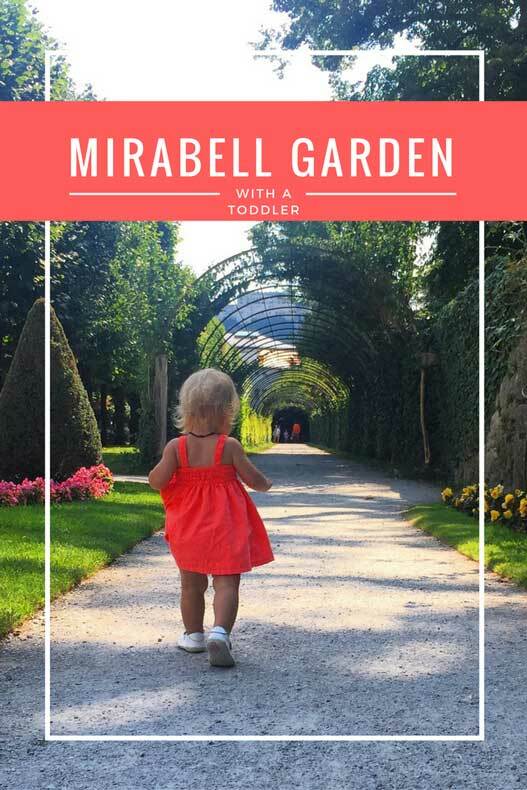 Have you been to Mirabell Gardens in Salzburg, Austria with kids? Leave us a comment and let us know how you spent your time in the beautiful park. The gardens are beautiful. And your little girl looked like she was having such a good time. Avery loved it! I mostly wrote this post because I wanted to share a million pictures of Avery in the garden. They were some of my favorite pictures from our trip! Beautiful pictures – love the link in with the Sound of Music too! How cute! I love how you incorporated the old pictures from the movie with your visit! Really nice feature. Thanks! I absolutely loved The Sound of Music, so I was very excited to see some of the famous places from the movie while in Austria. Your daughter’s dress fits in perfectly with all the beautiful flowers there! I actually took a Sound of Music bus tour when I visited Salzburg, and this was one of the sites it took us to. 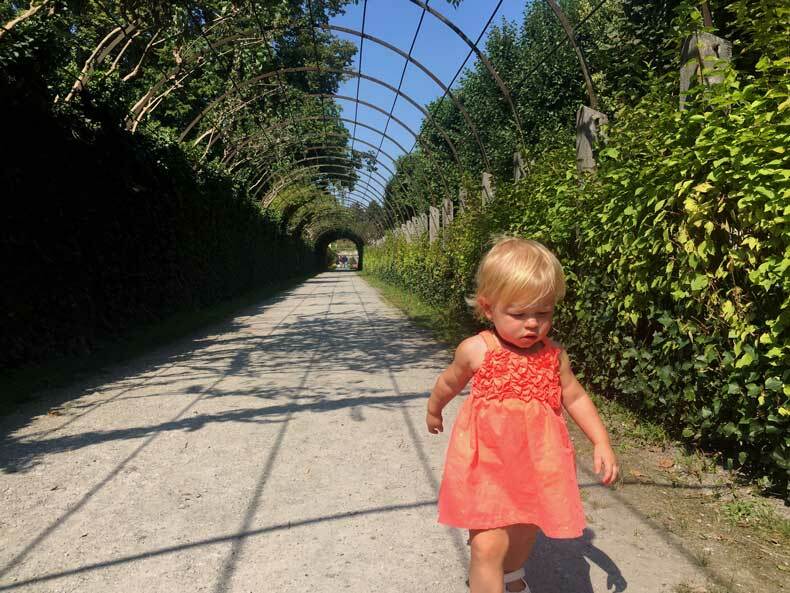 The tour was a great way to see a lot of the sites in Salzburg, and I think your daughter would enjoy it too! Depending on how energetic the crowd is, there may be sing alongs on the bus and a lot of Sound of Music references! We thought about doing that tour with her, but we were kind of worried about how she would do. I think it said the tour takes about 4 hours, if I recall. I was worried about being on a bus with her that long. But we visited a lot of the sights that the tour takes you to. Salzburg (Austria, in general) is so beautiful! I always loved singing along with The Sound of Music when I was a child. I never knew any of the filming locations for any of the scenes though! I’d def love to see these gardens! 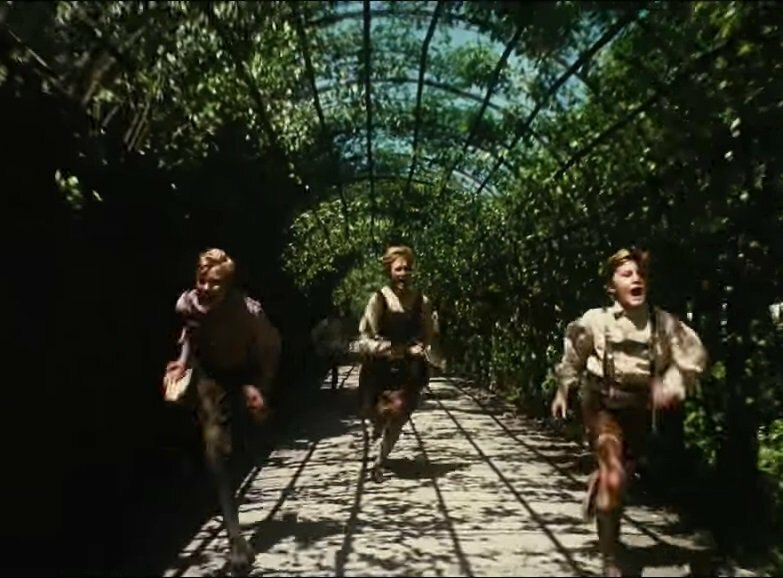 I also love how you positioned pics of your fam at the gardens directly next to corresponding screenshots of the exact same spot from the film! Absolutely a beautiful garden. A great place to bond with the family specially with the little ones. We also love to hang around a park and gardens and our LO loves it all the time. We constantly find ourselves looking for some type of park or garden to visit while traveling. We try to find one every day to give our very energetic toddler time to play and run around. I’ve never been to Salzberg but it looks beautiful. I love how you have included the sound of music photos for perspective. Those gardens are so beautiful! Your little girl looks like she’s cut out for a career in the movies! And the gardens are a beautiful spot to do a photo shoot. What would be the best season to visit the garden? Aw, thank you! Summer is definitely the best time, but you will also deal with the crowds. Personally, I like visiting Europe in September or October. It’s a little cooler, and their high season for tourists is over. Lines are shorter, and fewer crowds at major attractions. Watching The Sound of Music is an annual tradition in our household, so she will likely grow up watching it. She probably won’t remember visiting the garden, but at least she’ll have the pictures.